After my History of Industrial Design class last week where we had briefly talked about the early history of Louis Vuitton, I decided that I would check out LV"s flagship store on Fifth Avenue and 57th Street to see if there were any artifacts that might be of interest. and much to my surprise, there were indeed some vintage trunks on display and unfortunately just out of reach for my little iPhone camera. Here are some grainy photos. They did have some newer trunks on display. Here are some images closeup. Notice the variety of materials used inside and out. The chrome hardware does not seem out of place and the wooden trims serve as bumper rails to protect the outer leather surface. The associate I spoke with at the store gently reminded me that photos are not allowed in store but not before he explained to me that these trunks are much more meaningful when made-to-order especially the cost between one they have in store and a BTO is not as significant as the price tag of one: expensive. Upon further research it seems Louis Vuitton greatly embraces its proud tradition of luggage for travel. Its website begins with a location imagery that reminds the user of travel. and is followed by multimedia-rich content that isn't all about commerce but rather presents the company and its heritage in a very pleasing way. Louis Vuitton also released "100 Legendary Trunks": a book with an accompanying iPad "Interactive Book" app that shows off some of the trunks it has made over the years. Very much worth checking out. Caption by Louis Vuitton on YouTube. Seven crafts performed by hands outlined by daylight. They stitch the skin of a Speedy bag with beeswax-coated yarn, hollow a pea jacket at the waist, sheath the trunk case of a Wardrobe with a creaser, smooth a shoe upper to perfection, scour the contours of a Craquantes jewel, coat the arms of a pair of glasses, file the bevels of a Tambour movement.... Gestures speak. Instruments confer. Words are silent. Passion is revealed. Bruno Aveillan brings his artist's eye to the House's know-how, passing it on in turn, in his own way. woodchanges.com is a website that visually represents of the change that occur in wood over a variety of variables. Of course the theory behind it all lays in the fact that wood is a hygroscopic material, such that it exchanges moisture with its surrounding environment (As a piece of wood looses moisture it shrinks and as wood gains moisture back it swells). Here are a few screen shots of the charts displaying information over 12 months in New York. This kind of information is extremely valuable for furniture makers or wood workers who may find their products crossing international boundaries. Cellulose Nanocrystals, also known as "CNC", can be made from wood chips and saw dust. prepared properly, CNCs can be stronger, stiffer and cheaper than Kevlar and carbon fiber and carry similar light-weight characteristics. These qualities have attracted military interest for use in lightweight armor and ballistic glass, as well as automotive, aerospace, electronics, consumer products and medical industries. The US Forest Service, Forest Products Laboratory, has opened a US$1.7 million pilot plant for the production of cellulose nanocrystals. Cellulose is the most abundant biological polymer on the planet and is found in the cell walls of plant and bacterial cells. Composed of long chains of glucose molecules, cellulose fibers are arranged in an intricate web that provides both structure and support for plant cells. The primary commercial source for cellulose is wood, which is essentially a network of cellulose fibers held together by a matrix of lignin, another natural polymer which is easily degraded and removed. Wood pulp is produced in a variety of processes, all of which break down and wash away the lignin, leaving behind a suspension of cellulose fibers in water. A typical cellulose wood fiber is only tens of microns wide and about a millimeter long. The cellulose in wood pulp, when dry, has the consistency of fluff or lint - a layer of wood pulp cellulose has mechanical properties reminiscent of a wet paper towel. Not what you might expect to be the source of one of the strongest materials known to Man. After all, paper is made from the cellulose in wood pulp, and doesn't show extraordinary strength or stiffness. Further processing breaks the cellulose fibers down into nanofibrils, which are about a thousand times smaller than the fibers. In the nanofibrils, cellulose takes the form of three-dimensional stacks of unbranched, long strands of glucose molecules, which are held together by hydrogen bonding. While not being "real" chemical bonds, hydrogen bonds between cellulose molecules are rather strong, adding to the strength and stiffness of cellulose nanocrystals. Within these nanofibrils are regions which are very well ordered, in which cellulose chains are closely packed in parallel with one another. Typically, several of these crystalline regions appear along a single nanofibril, and are separated by amorphous regions which do not exhibit a large degree of order. Individual cellulose nanocrystals are then produced by dissolving the amorphous regions using a strong acid. At present the yield for separating CNCs from wood pulp is about 30 percent. There are prospects for minor improvements, but the limiting factor is the ratio of crystalline to amorphous cellulose in the source material. A near-term goal for the cost of CNCs is $10 per kilogram, but large-scale production should reduce that figure to one or two dollars a kilo. CNCs separated from wood pulp are typically a fraction of a micron long and have a square cross-section a few nanometers on a side. Their bulk density is low at 1.6 g/cc, but they exhibit incredible strength. An elastic modulus of nearly 150 GPa, and a tensile strength of nearly 10 GPa. The only reinforcing material that is stronger than cellulose nanocrystals is a carbon nanotube, which costs about 100 times as much. Stainless steel is included solely as a comparison to conventional materials. The relatively very low strength and modulus of oak points out how much the structure of a composite material can degrade the mechanical properties of reinforcing materials. As with most things, cellulose nanocrystals are not a perfect material. Their greatest nemesis is water. Cellulose is not soluble in water, nor does it depolymerize. The ether bonds between the glucose units of the cellulose molecule are not easily broken apart, requiring strong acids to enable cleavage reactions. The hydrogen bonds between the cellulose molecules are also too strong in aggregate to be broken by encroaching water molecules. Indeed, crystalline cellulose requires treatment by water at 320° C and 250 atmospheres of pressure before enough water intercalates between the cellulose molecules to cause them to become amorphous in structure. The cellulose is still not soluble, just disordered from their near-perfect stacking in the crystalline structure. But cellulose contains hydroxyl (OH) groups which protrude laterally along the cellulose molecule. These can form hydrogen bonds with water molecules, resulting in cellulose being hydrophilic (a drop of water will tend to spread across the cellulose surface). Given enough water, cellulose will become engorged with water, swelling to nearly double its dry volume. Swelling introduces a large number of nano-defects in the cellulose structure. Although there is little swelling of a single CNC, water can penetrate into amorphous cellulose with ease, pushing apart the individual cellulose molecules in those regions. In addition, the bonds and interfaces between neighboring CNC will be disrupted, thereby significantly reducing the strength of any material reinforced with CNCs. To make matters worse, water can move easily over the surface/interfaces of the CNCs, thereby allowing water to penetrate far into a composite containing CNCs. There are several approaches to make CNC composite materials viable choices for real world applications. The simplest, but most limited, is to choose applications in which the composite will not be exposed to water. Another is to alter the surface chemistry of the cellulose so that it becomes hydrophobic, or water-repelling. This is easy enough to do, but will likely substantially degrade the mechanical properties of the altered CNCs. A third approach is to choose a matrix material which is hydrophobic, and preferably that forms a hydrophobic interface with CNCs. While not particularly difficult from a purely chemical viewpoint, there is the practical difficulty that interfaces between hydrophobic and hydrophilic materials are usually severely lacking in strength. Perhaps the most practical approach will simply be to paint or otherwise coat CNC composite materials in some material that keeps water away. For such a prize - inexpensive strong and rigid materials - we can be sure that innovations will follow to make the theoretical practical. The original title of the Gizmag article is "Wood pulp extract stronger than carbon fiber or Kevlar", in my opinion, skews the reader's initial perception of the material, cellulose nanocrystals, at hand, which was most likely the intent of the writer/editor; a common practice for many journalists today. While the shortened title does shed light on part of the process of making the process of the material, it gives the material a perceived quality of being almost miraculous as wood pulp is a common, low cost, easily achieved industrial product. Upon further reading of the article does the reader start to understand that wood pulp is only an intermediate state a production process and that further studies and improvement will yield a practical, inexpensive product. In this case, I'm learning to not judge the article by the material or materials mentioned in its title. After finally taking some time off from work, I'm finally back to attack the final semester of my time at Pratt. Here's an video that serves as a good inspiration for such an occasion Posted on Vimeo regarding the making of "American Eagle". Filmed by Ronin of HotMop Films, he spent 9 days filming Osamu Koyama, an artist who built a gold-plated armor for a blank Nike Zoom Force 1, a commission from Nike for their Shoeshine Project 2012. Xylinum is a bacteria that consumes sugar and produces an artificial cellulose material, a random three dimensional fibre nano structure. It can grow around any given form. The properties of this material can be changed by changing the genetic code of the organisms. Jannis Hülsen, in collaboration with Jenpolymers, developed a technique to create a skin around a wooden fram, forming a coating and the seating surface. Here is a very informative video from Jannis explaining the process. Xylinum from Jannis Hülsen on Vimeo. The first weekend of June, I had the opportunity to test out my theory to that materials can alter the perception of an object with the help of some dummy iPhones and interchangeable iPhone cases. Please note that I am treating this round as a test run. Subsequent studies will be modified. In this scenario, three iPhone 4S users participated in the study. Mary is a recently retired co-president of a company in the mid-west. She first acquired her iPhone during christmas of 2011. Her first iPhone case was made of semi rubber, which she thought would be good for grip and for providing a softer landing should the phone drop on the floor. After five months she decided it got dirty too easily so she changed to a plastic shell by Uncommon. Mary looks for cases that feel high-end and unique, not slippery, perhaps textured, with a ridge/lip around the screen so that it would provide an offset if the phone was placed face-down. She was definitely surprised by how light the wooden one felt and notes a definite disconnect between how the cases look and how they feel. Materials-wise, smooth plastic is on both ends of the extreme. Rubber cases were ruled out all together. I wonder if color was a factor in the evaluation of weight. In any case, There is no correlation between "Visual Bulkiness by Volume" and "Perceived material weight." Sarah is in her early 30s and a VP of Marketing at a major bank in the US. She is based in the New York metro area but travels within the US for work. She is fashion conscious though not a fashionista. She cautiously curates her style. She first acquired her iPhone 3GS a couple of years back and protected it with a Speck Hybrid Candyshell case but recently upgraded to an iPhone 4S. She has tried a variety of cases during that time but has settled with the Kate Spade Polka Dots Case for now. Notes: Sarah looks for cases with good visual aesthetics along with durability when they are placed in different context (pocket or purse) and also the case's durability when and if it should fall. She notes strongly that cheap and flimsy just is not worth the money even the case has a "stand"... i.e. features must also be sturdy. She mentions the Kate Spade case is nice in terms of thinking about how it could protect the phone but it becomes very bulky, which is not good in certain situations. She fears if she takes the phone out in those situations and put them in a slimmer case, she would eventually loosen/break the Kate Spade case. She notes that she likes the snap-on cases in those situations. The wooden case is cool. It's different, but rather big. The InCase Hybrid Cover is just strange. The change in material makes her think that the two should separate but it doesn't. She would not consider the Perforated case because it would get dirty in her purse (lint etc.). No particular feelings about the metal case, other than to state that they are expensive and hard to get. Often back-ordered. Sarah has an behavior of note: She puts the phone face up or down depending on whether or not she's expecting messages. In a meeting, the phone faces down or she puts her company-supplied Blackberry on top. This makes her feel the lip/ridge around the screen is very important. Again, "Visual Volumous Bulk" vs "perceived material weight" does not indicate any correlation. Cory, Sarah's husband, is in his late 30s and works for a publishing company based out of Minnesota. He can talk to anyone about anything. He likes to try new things as long as it is economically reasonable. He has tried numerous iPhone covers since his iPhone 3GS. 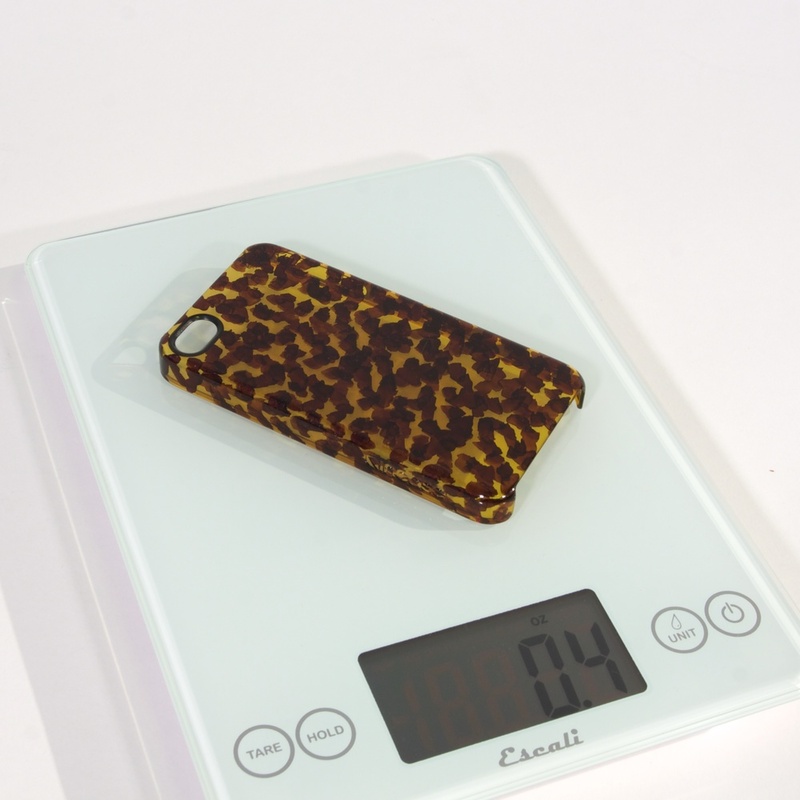 Now with his iPhone 4S he uses a slim snap case similar to the Elago S4. He agrees with Sarah regarding the context of the phones use is important in determine what case to use. He had a chrome plastic slider case from InCase for his iPhone 3GS because it was cool looking but eventually gave up on it because it was too slippery. He changed over to a Speck fitted case that had soft-touch rim with a fabric back, which he soon gave up on because it was too bulky. 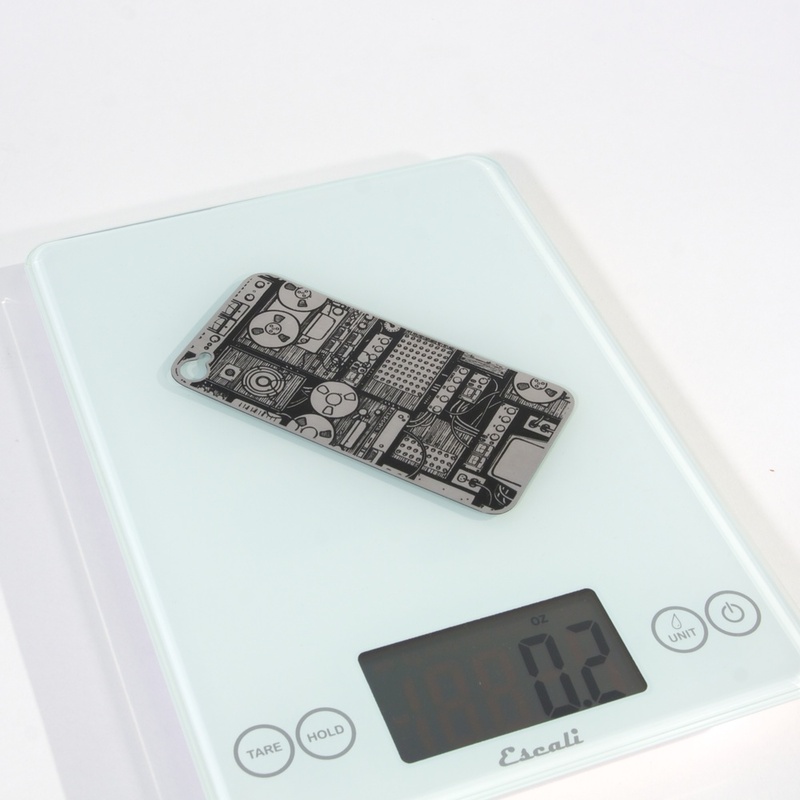 He eventually settled on a minimal slim plastic snap-on shell, which is similar to what he has now for his iPhone 4S. When the others asked whether or not he's worried about the screen since the slim shell does not have a lip or ridge around the screen, he responded that he seldom puts the phone face down and even if he did, there's a screen protector. He notes that he has dropped his iPhone 4S several times and at a variety of heights and on to a variety of surfaces over the time he has had it and luckily nothing catastrophic has happened, which he attributes to how well the phone is built/engineered. This gives him the confidence that his choice in case "protection level" is suitable for his use. When he picked up the cases that were presented to him, he mentioned that it's really all about how it feels in his hand. He really doesn't like bulk. The wooden case is cool but it is just too big. He had been eyeing the aluminum cases personally but since they are very rare in stores he hadn't touch one till now. He thinks they are cool, especially needing little screws to fasten the case together but didn't like the sharp edges. He mentions aluminum cases from Japan, Deff Cleave but sold under Draco here in the US, had really nice contours which made them very unique looking. He also thought the Luxe Plate metal backing is cool too. Again, a disconnect between "visual volumous bulk" and "perceived material weight". Conclusions? The users felt strongly in mentioning that their current personal iPhone cases are significantly different from the very first iPhone case they acquired. They all stated that when they first received the iPhone, their main concern was dropping the phone and breaking the glass. Their second and subsequent cases were more tuned to their daily habits such as putting the phone in their pocket or purse, how they hold the phone, etc, as well as how the phone looks to them, to other people. They all agreed that the wooden case is very novel and wonders if it would shatter along the grain and also near the change in species of wood. Rubber cases are not among this groups choices because they thought it was just too flimsy, though they do note the same rubbery feeling achieved by soft-touch on plastic is much better. The aluminum Element Vapor Pro case did not raise any "special" flags. Since it is anodized black, with the exception of Cory who has researched cases before and knew of its aluminum manufacturing process, it's hard for the others to tell whether or not this case is metal or plastic. Unfortunately only Sarah and Cory lined up the Luxe Plate with the InCase perforated case. Sarah thought the Luxe Plate was lighter, whereas Cory thought the Perforated case was lighter... so that part of the experiment is not conclusive yet. 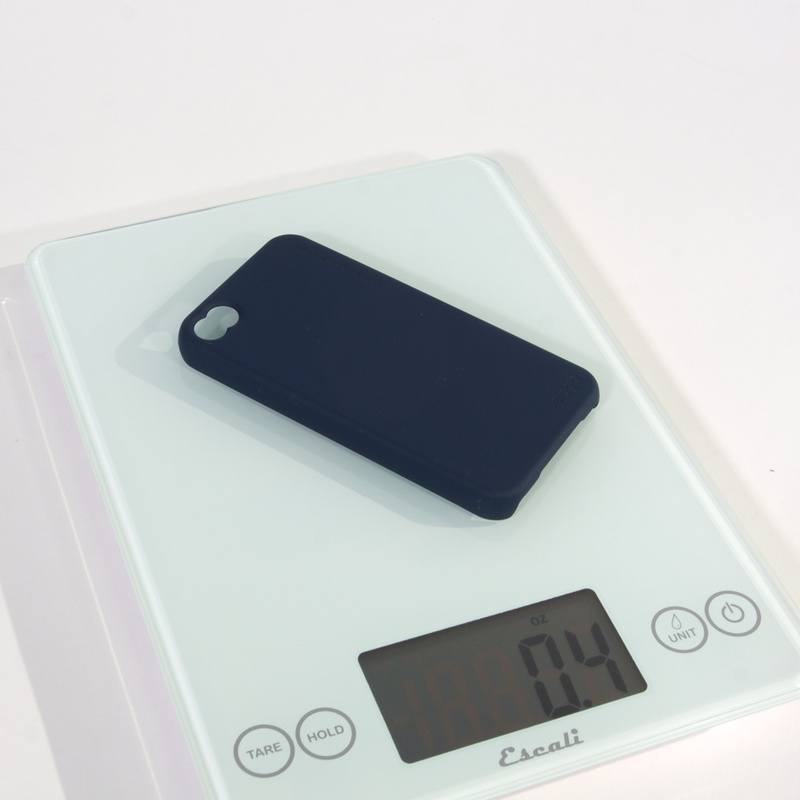 For the iPhone Case Study, the actual weight of the cases are irrelevant since we are trying to measure the perception of the materials involved and intentions of the users who chose them. Just in case people are curious, here are the cases in order from the lightest to the heaviest. The design includes a thin steel frame under the seat where the legs are mechanically fastened. The armrest is optional and fastens to the back and sides of the chair. The X-Federation Elite Class chair comes with a solid brass armrest and leg sleeves. Must say, the contrast in materials is very interesting. Insanely jealous and can hardly wait until next spring when Columbia Sportswear's Omni-freeze apparel will be released. Fast Co's Mark Wilson recently had a chance to test out a shirt that is made out of a fabric that stays cool in warm humid weather and therefore also keeps the wearer comfortable. On the fabric, there are blue rings of hydrophilic (greek: water loving) molecules that absorbs moisture. The molecules get excited and will try to separate. It uses thermal energy from the user's body to do so and thus creating "a prolonged and enduring cooling sensation that lasts as long as the fabric stays wet." I've been interested in the Carbon Fiber Monocoque for a little while now because of the strength and security it gives to the cars and their passengers while minimizing the weight. Here's a small video explaining how it's done in F1, why it's safe and getting even safer. Joey Roth recently released a series of planters made from naturally porous, unglazed earthenware that lets water seep through the center column and into the soil. He states on his website that they are inspired by Olla, an ancient irrigation tool that famers still use to conserve water in arid climates. These planters definitely look so much better than the plastic ones, and aesthetically so much more interesting than the traditional terra cotta planters. Joey Roth also has a set of ceramic speakers that are also very interesting looking. Notice the materials inside the car as well as the sound of the engine. Truly a car designed for the senses. The Milan Design Week has started and among the many pieces of furniture that has already caught my attention, the material used by Calligaris caught my attention: Liquid Wood. It's really a material and process combination: an air-molding technique that involves Polypropylene and glass fiber being injected at the same time. Calligaris describes it as a composite biomaterial of polymer and wood, recyclable and produced with raw materials that are easily available and renewable. The liquid wood is molded like a normal thermoplastic polymer allowing for great versatility and high performance in terms of durability, resistance and flexibility. It is mainly composed of lignin and cellulose, which together with hemicellulose make up the stem cells of plants. About a month or so back, I had lunch with some classmates. At the end of which, we habitually reached for our phones to check if we missed any calls or messages. Most of us had iPhones so naturally we check out each others cases. One had an perforated case from InCase. Another had a cute case with bunny ears, which I cannot find again. And I had a stainless steel acid etched decal from Luxe Plates. We came to an interesting observation. The iPhone with the Perforated Snap Case was lighter than mine with the Luxe Plate. While, yes, stainless steel is by nature heavy we did not believe it is relevant in this situation as Luxe uses a very thin sheets. 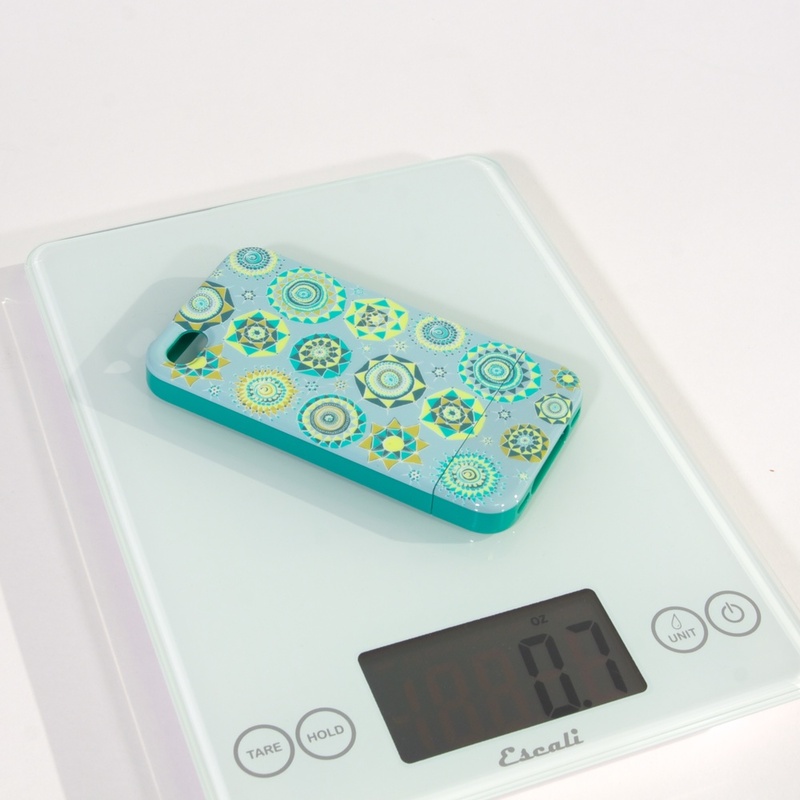 What exactly are we feeling, does the perceived weight correspond with actual weight? Is it the shape? Is it the texture? And thus the need for a focus group was decided. After contacting all the companies I could find in one evening, asked as politely as I could for samples, I gradually received some cases from the wonderful people at Elago, Agent 18, and InCase. Most of these were polymer-based so I needed to look for more samples from other materials. Unfortunately as much as I hoped Element Case would respond to my plea for help, I eventually had to acquire one second hand from eBay. I found a wooden decal much similar to Luxe Plates offered by Lazerwood through Fab.com, and finally a full wooden iPhone case from Etsy as wooden cases from companies were very expensive. Alas, the wooden case I ordered from Etsy is apparently coming from China; like it's plastic counter parts, so it was too late for this photo shoot. I am waiting for some dummy iPhones to arrive but hopefully soon the focus groups will start and results will follow.